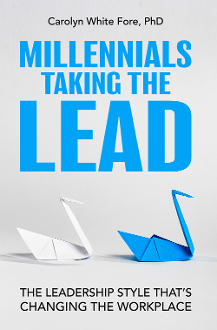 For the first time, workplaces across the nation are contending with four distinct generations, each with their own needs, preferences, and contributions when it comes to leadership. This presents a great opportunity for the most diverse workforce to date, but it also invites friction and misunderstandings. Whereas the other generations-Traditionalists, Baby Boomers, and Generation X-have made their respective mark on the world, Millennials struggle to be heard. Conversely, leaders today wrestle with how to best incorporate the newest members of the workforce. Without a common understanding, they are unable to capitalize on the opportunity to excel and fully demonstrate the skills that each generation has to offer.